Thank you to all those who purchased a ticket for this years raffle. 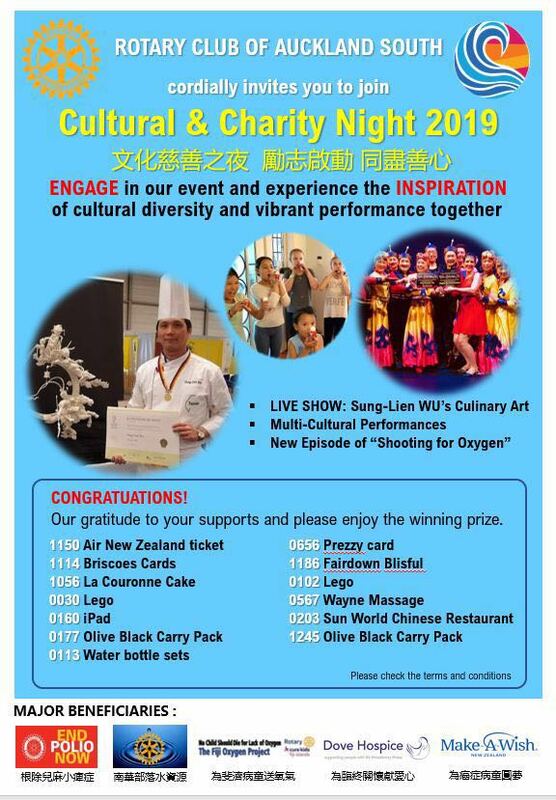 Winners for all prizes were drawn live at our 2019 Cultural and Charity Night on April 6th. Prize winner numbers can be located on the Raffle page (click here). For privacy reasons, only the ticket number is shown and winners will be contacted via the phone number provided. Winners please contact Secretary Madison Chang on 027-510 5138 to arrange a time to pick up winnings from 155A Great South Road, Greenlane, Auckland on Monday-Fridays, between 10am to 4pm. Should the prize not be picked up before May 6th 2019, the winner therefore forfeits the prize.